Trekking across the golden dunes of the Sahara Desert, crossing the Atlas Mountains by 4×4 or simply watching the sun setting over the Atlantic Coast of Morocco – scroll through the thumbnails below for the types of holidays that we arrange for our guests in Morocco. 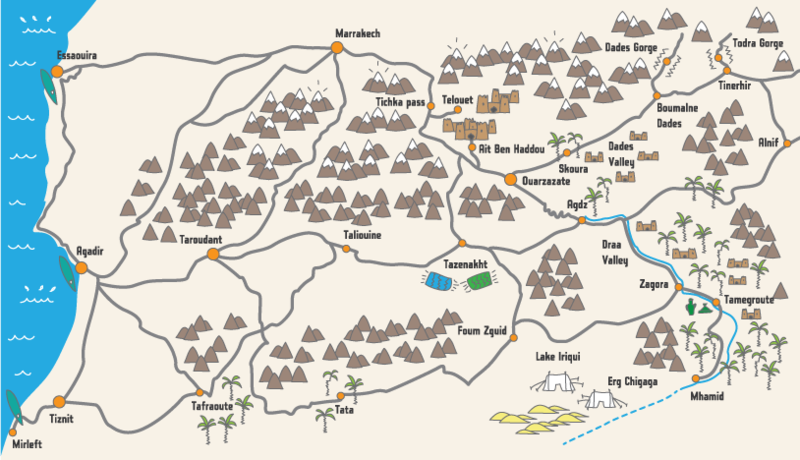 We display interactive Google Maps on all of our trek and jeep tour itinerary pages. 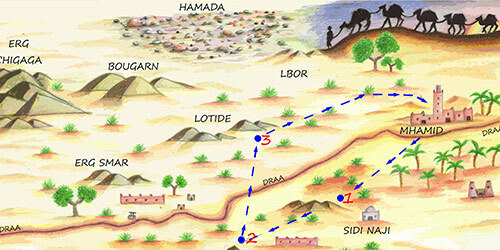 Yet you can download these hand-drawn maps which feature our desert treks and our desert camps. Please click on the thumbnails to download. Desert camping at Erg Chigaga great dunes, the route down. 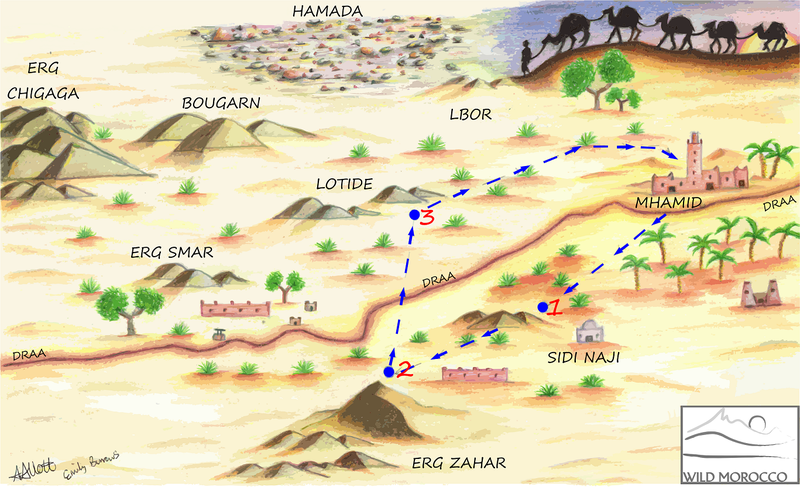 Desert trekking west of Mhamid, in the Iriqui National Park.